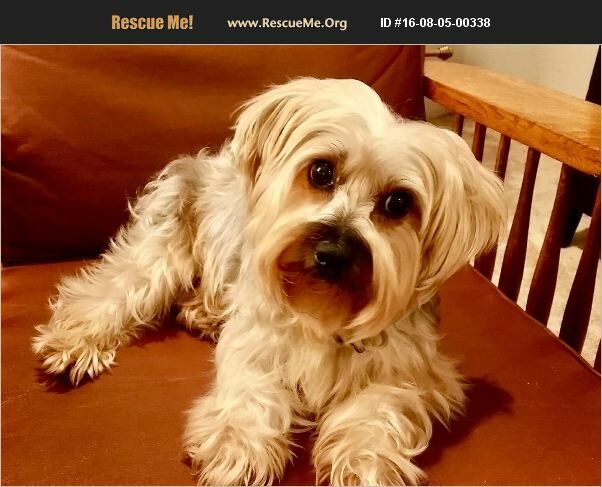 New Jersey Yorkie Rescue View other Yorkies for adoption. Hello rescue buddies, It's time for an update on our precious Dylan. He was surrendered to a local shelter when his family could no longer care for him. Shelter medical tests showed that Dylan had diabetes, which also resulted in vision loss. He needed more care than the shelter could give him. Sherry's Place Rescue was contacted and asked if we could help Dylan. We picked him up, placed him in a loving foster home, and gave him the medical treatment he needed to get well. Dylan is feeling much better now that he is receiving the proper medical care. He is a special needs boy who needs an insulin injection every 12 hours to control his diabetes. Dylan also needs daily prescription eye drops. He is 6 years old, and weighs 15 pounds. Our sweet boy is now happy and active and ready to be part of a loving family who will continue to take care of his medical needs and give him the love and attention he deserves. Please visit our website www.sherrysplacerescue.org to fill out an application to adopt Dylan.